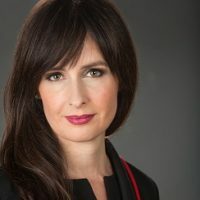 Dr. Danuta Skowronski is Epidemiology Lead responsible for surveillance, rapid response research and program/policy recommendations for Influenza and Emerging Respiratory Pathogens at the BC Centre for Disease Control (BCCDC). She has been recognized for her notable contributions around several major public health events such as SARS, avian influenza, the 2009 H1N1 pandemic, enterovirus D68 and for regular expert guidance around seasonal influenza-an annual re-emerging pathogen. Dr. Skowronski is credited with having pioneered the test-negative design (TND), an epidemiological innovation for monitoring how well the annually reformulated influenza vaccine protects each year. The TND was recognized by Accreditation Canada in 2015 as an Innovative Leading Practice and has since revolutionized global capacity to monitor influenza vaccine benefits. Dr. Skowronski has more than 150 publications, primarily related to influenza, and has participated in numerous provincial, national, and international expert advisory committees.